Margaret Matejkovic is an Independent Contractor at ERC and assists employers by providing practical tools to develop and maintain positive, proactive workplaces. Margaret “Meg” Andreeff Matejkovic assists employers by providing practical tools to develop and maintain positive, proactive workplaces. Examples of her work includes conducting workplace investigations; offering counseling and coaching sessions for managers, supervisors, and employees often as part of an employee’s professional development; and training on a variety of employment law-related topics. With nearly 20 years of private practice exclusively representing employers and in-house employment law experience, Meg also served as Associate Dean for Akron Law from 2005 until 2013 when she opted to return to consulting with employers and the practice of law on a full-time basis. 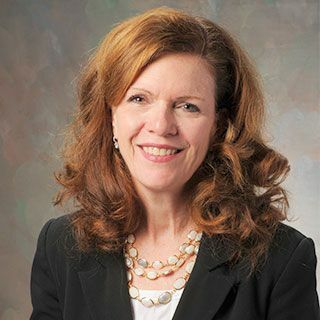 Meg continues to serve as an adjunct faculty member for Akron Law, teaching a course that she developed in 2006 entitled The Human Resources Lawyer. Meg received the Outstanding Adjunct Faculty Award from Akron Law in May 2016 and, in May 2018, will receive an Outstanding Alumni Award from Akron Law. Meg currently serves as of counsel with Kastner Westman & Wilkins, LLC and also has been a member of SHRM’s national faculty since 2013. Active in the Northeast Ohio community, Meg is the Immediate Past President of the Akron Bar Association.